It’s that time of year again! The time of year where I pretend to care about sports, and more importantly basketball, when all I really care about is gambling and looking at statistics. Or something. In any case, although my alma mater is already out of the running (it was not, sadly, a first round upset), I’m enjoying this wholeheartedly so far. Lots of upsets, lots of weirdness, and great close games. So what better way to celebrate than to drink! 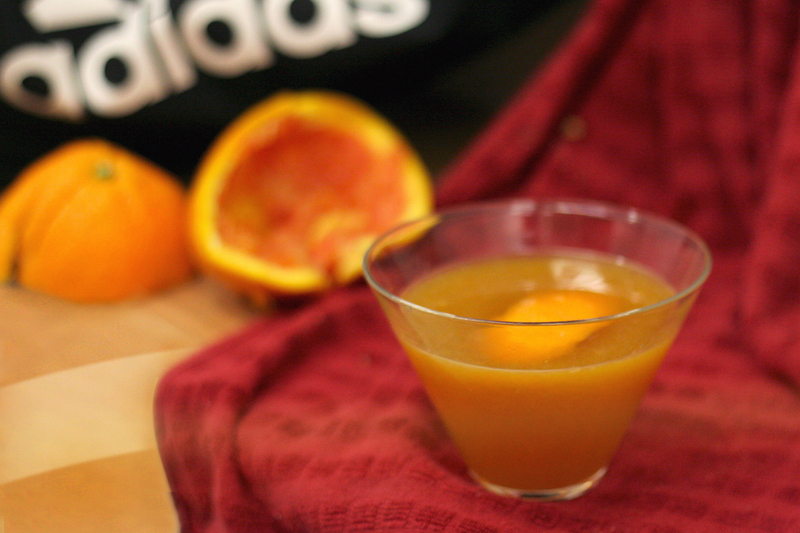 Although this particular cocktail came out pretty well, its connection to March Madness is a bit of a stretch… Basketball… The ball itself… Round, and kind of orange… Oranges! And, well, that was it. 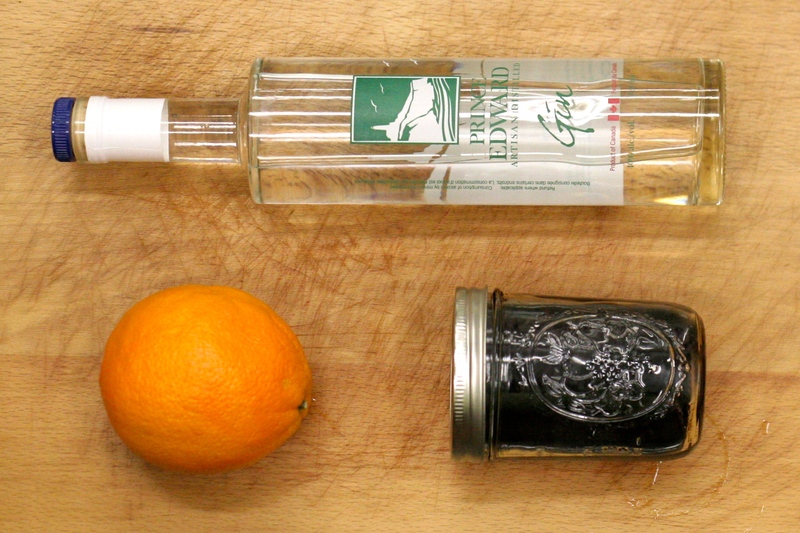 Combine elements in a mixing glass and stir. Pour out (strain if you haven’t strained the orange juice already) into a martini or rocks glass, and garnish with the peel for a little extra bitterness. BN: I liked this! In the end, that is. I first pulled it together without the bitters (as pictured in the ingredients shot) and it was just a little too sweet. 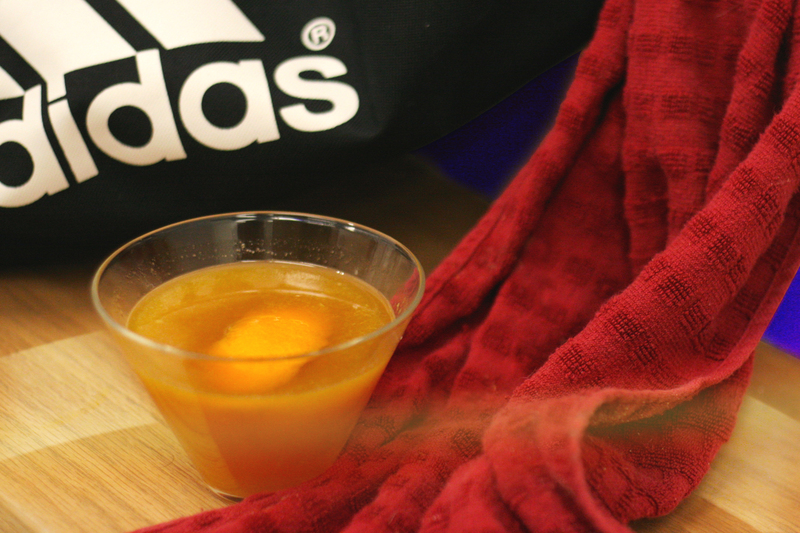 This may be because of the drink, but I actually have a sneaking suspicion it was because of the oranges. One of the ones I juiced was super red and I think a lot sweeter than you would normally want a plain orange to be (I don’t think it was a blood orange…). The drink needed something to cut that sweetness, and my thought went to the cardamom bitters I don’t generally use enough. When I added them in it was much better, and with a more complex flavor. Still would have liked a little more bite, I think, but it was a pretty nice drink overall. PiC: This is very drinkable. It’s super tasty, but could maybe use a tad more punch. Maybe the orange that was used was a bit sweet? I do like it, though, and the aftertaste of the bitters adds nice complexity.